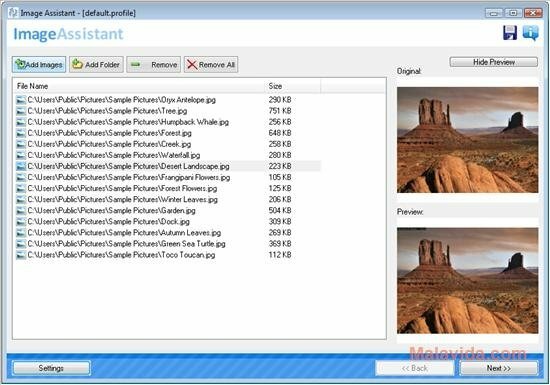 With the vast amount of images, specially photographs that can accumulate on current computers, it is very common that the need will arise to modify the parameters of some of these files at the same time, be it their size, names or gamma corrections. 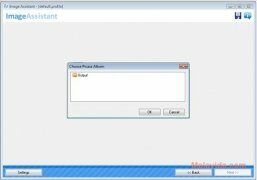 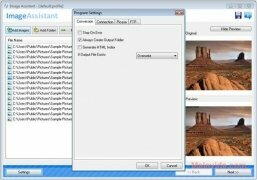 To be able to carry out all these actions you can use Image Assistant, a very simple program with which you will be able to carry out multiple actions to batches of image files. 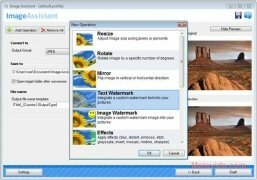 The amount of actions available to carry out with the images is large, from format conversion, size changes to the possibility to upload them to Internet. 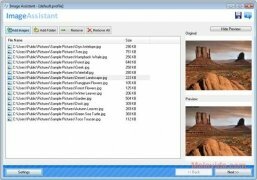 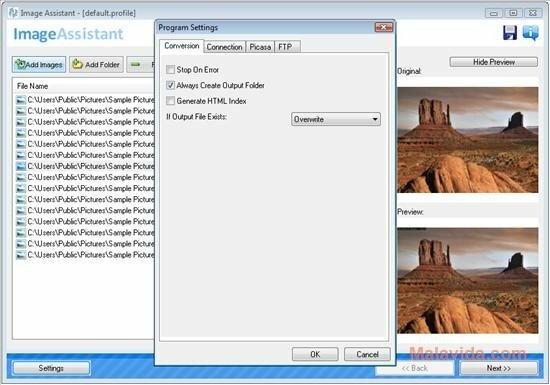 Image Assistant is compatible with Picasa and FTP, thus offering the possibility to upload the images to your own server to use them on a website or directly to the service offered by Google to be able to show them to everyone. 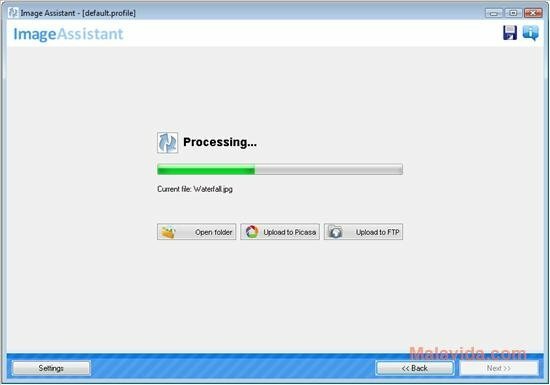 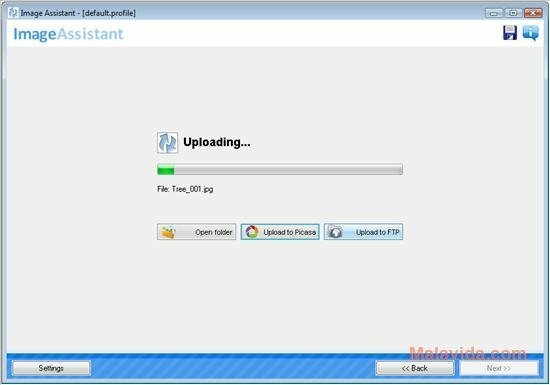 Therefore, if you want an application that will allow you to carry out multiple actions with your photographs, and even to upload them directly to Internet, download Image Assistant. 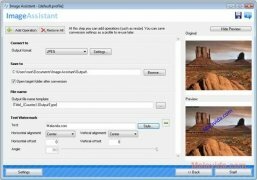 The trial period lasts for 15 days. 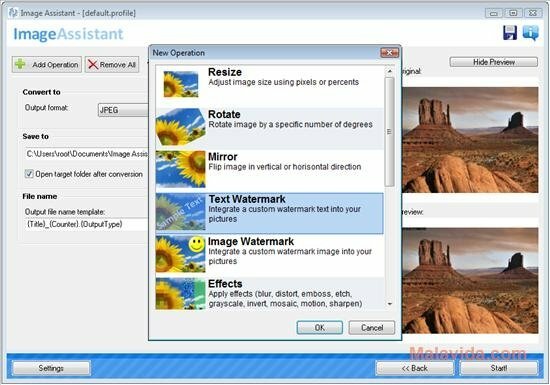 The trial version adds a mark to the images.